Allows the pressurized ground water to be released through the liner and into the pond. Used in pond bottoms where hyrostatic pressures are to great. Keeps your pond liner from bubbling up due to high ground water pressures. You must use a 2" bulkhead fitting to breach the liner. 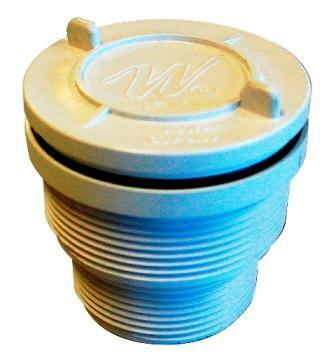 The one-way pressure relief valve then screws into the fitting from the pond side. 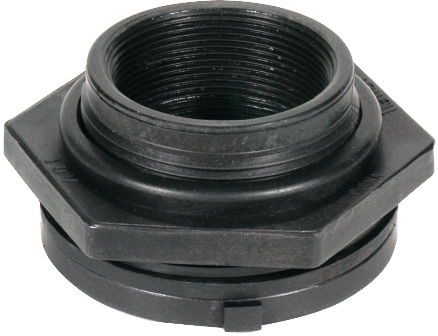 Recommend using Black Silicone on the threads before inserting into the bulkhead fitting to maximize leak prevention. 5/15/2018 – My pond is only 3ft deep, would this still work? I just dug it out and laid the underlayment and the rubber liner and filled . . .
2. What is the proper spacing for the PRV's . . .
9/23/2010 – Do you have any product data and intallation instructions on this valve. I have heard that a minimum pond depth of 5ft . . .